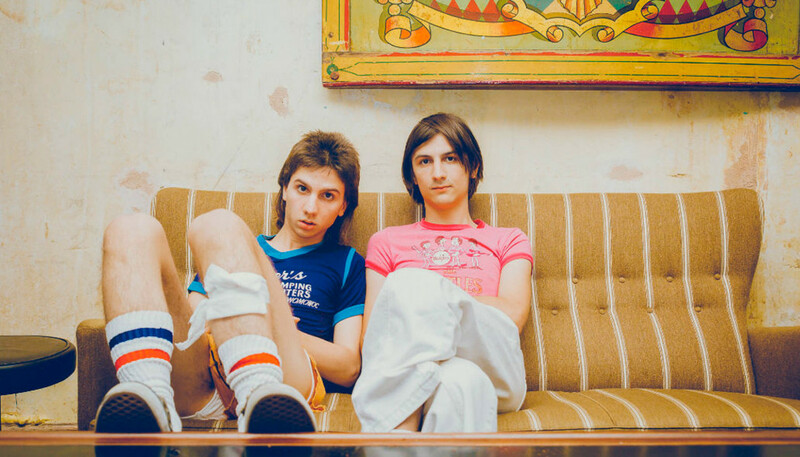 Written and performed by two former child-actors from Long Island, produced by Jonathan Rado of Foxygen, and composed of lush, Todd Rundgren-inspired prog-pop, The Lemon Twigs’ debut was one of the most striking records of 2016. 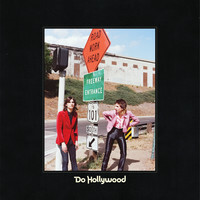 We sat down with teenage brothers Brian and Michael D’Addario to discuss the inspirations behind Do Hollywood and to hear their plans for the future. It’s been six months since you put your first song on SoundCloud, and now you’re signed to 4AD, with an acclaimed debut album, plus Tony Visconti and Alex Turner showing up to your gigs. You must be pinching yourselves. Michael D’Addario: Well, I don’t know; I haven’t had much time to process it. When we put that song on Soundcloud, we were signed but it wasn’t announced. That was part of the stunt. But yeah, [Tony Visconti] came upstairs [after our show], and we talked for a little while about tape and making records, because we’ve just bought a 24-track. That was real cool. Did you speak to Alex Turner too? MD: I met him. Brian, I think, was busy. Brian D’Addario: I kept waiting for him to come and compliment me. MD: I met him for a little bit. He bought me a drink. It’s good to feel like you’re ahead of the game a little bit. We last saw you play live in September, and we were impressed with your high kicks, Michael. MD: Well, yesterday a fan told me there weren’t as many kicks as on the YouTube videos. I don’t know, I was into that when I was a little more insecure about my command of the stage. I didn’t used to be able to feel like I was holding people’s attention unless I was moving around like lightning. I felt like I had to do that, but now I feel like I can hold people’s attention. BD: It’s more of a tight show now, I think, because we just had a lot of time to play live. I definitely think we feel more confident, but we’re also very, very hard on ourselves, in terms of playing. We usually watch some clips from each show back, so it’s sort of become a little bit more professional, and we’re more refined, I think. So your debut album was produced by Jonathan Rado from Foxygen. Why did you choose him? BD: Because we were big Foxygen fans and big fans of his solo work. We got pretty into Foxygen and then immediately contacted them, before our fandom was too far down the road where it would have been weird when we met. I feel like we’d got used to building up these ideas of these people in our minds like they were gods or something. All your reviews name-check artists like Todd Rundgren and The Beatles, but is that where your interests lie? Do you listen to much contemporary music? It’s difficult to imagine you sat listening to Drake. BD: I actually do like Drake a lot. That’s my taste because I like the production and am into taking what I’ve learned from songwriting and transferring it into those kind of production styles. So I record a lot in that style, just as a side thing. MD: I like Todd Rundgren and Nick Lowe and Elvis Costello and power-pop people, and that kind of music is probably one of my favourites, but I also like all that jazzy, Alex Chilton stuff. And then I’ve been listening to a lot of Mose Allison since his death. I don’t think I know how to do jazzy sh*t so I’m not going to even try right now, but you don’t need to sound like the things you’re listening to either. BD: What we were drawn to as kids – which is The Beatles and The Beach Boys’ stuff – will most likely always be a part of what we do because we’re always trying to do what’s the most natural for us. It would be us trying too hard if we were trying to do a contemporary thing. Your parents are both musical. Did they actively encourage you to pursue music? MD: Yeah. We were so obviously interested, from a very young age. Some kinds want baseball hats and sh*t, and we were always watching Beatles stuff. I mean, it was put right in front of us, you know, but we were taking to it. Eventually I rebelled against the type of music, but doing music was always, always the thing. And then, when we were doing acting, we rebelled against that as a thing, because we wanted to be doing music instead. There must be many transferrable skills between acting and playing in a band though? BD: Yeah, I guess just to be comfortable on a stage. MD: And I think paying attention to every detail, and treating everything like it matters. In terms of the creative process, we read you split songwriting duties so that you alternate between songs that Michael has written and songs that Brian has written. Is that right? MD: That’s how this record is. BD: In the formation of that first record, we just wanted it to be very clear that there were two frontmen. We’re more open about it now. BD: ...And gotten a little older. And a little wiser. So how do you divide that responsibility now? And does it ever cause confrontation? MD: It has before, but it seems so petty for that to happen. BD: I mean, look: he’s so cute. MD: I’m confident enough in my own songs to not be jelly-belly. I used to be jealous but now I don’t give a sh*t. ‘Cause we don’t really have the same goals anymore. Well, we never really did, so in that way it doesn’t conflict too much because we don’t really want to write the same songs. The only time that I would get maybe a little jealous now is if he wrote a really nice ballad. Just because for every four songs I write, I’ll write a ballad, whereas he’ll write a ballad every two songs. BD: But that’s part of the reason why I feel we complement each other well is because we fill slots that the other one doesn’t. MD: Yeah, but I can write a good ballad. ‘As Long As We’re Together’ is a good ballad. So tell us: what were your hopes for 2016 and how does the reality compare? Did you have any expectations? MD: No hopes. No expectations. No regrets. BD: The only hope that I had was that we’d be at a stable place after the release of our record, and that was because our touring members took a risk – they were going to college and they were in good positions. That was my only real goal and it seems to be working. MD: We’re going to try to record our next album as soon as we get home. We’ve been trying to buy gear online while we’re on tour, and then we’ll set up shop in our basement. Hopefully that album gets finished before we have to leave again. And if it doesn’t, hopefully we can finish it over one of the short, two-week breaks. So you have all the songs for the second album ready to go? What can we expect from album number two? BD: I think this one is gonna be more of a consistent, full album experience. Because this debut is almost a sampler of the things that we can do. We were so excited to be there recording with Rado, and for our songs to have a potential audience, so this time it’s really about the songs. We wrote most of them right after we recorded the first record, and a concept arose early in the process so we’re weaving that into it and taking it really seriously. BD: It’s going to be called Go To School. BD: But that’s just where the songs take place. I don’t really want to give away too much. MD: Hopefully, fall. This album came out a lot later than we wrote it. I mean, I finished my part of the album two Februarys ago, so we’ve had a lot of time to write these songs. And since we have a concept, a lot of the songs that we were writing didn’t fit into the concept, so we decided those would be songs for album three. BD: I feel like we really have at least three good albums in us, and as long as we keep our heads together we can get the records together, which is a really good feeling, you know? It’s good to feel like you’re ahead of the game a little bit.